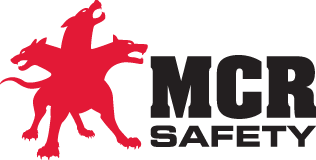 MCR Safety represents the consolidation of industrial safety companies Memphis Glove, Crews Incorporated, and River City Protective Wear (MCR). As a leader in the personal protection equipment (PPE) industry, MCR Safety unites over thirty years of successful PPE knowledge, superior service and consistent quality. High-performance cut-resistant material that achieves high levels of cut protection and comfort. The blended Kevlar®, stainless steel, and other fibers are used for general-purpose work applications to provide cut and abrasion resistance when working with sharp objects.